Earlier today, Minister of Foreign Affairs, Carl Greenidge signed an agreement with the President of Estonia, Kersti Kaljulaid, on the sidelines of the 73 United Nations General Assembly meeting which was held in New York. The agreement comes on the heels of a pledge made by the Estonian Government last month to help Guyana’s authorities improve in the areas of information communication technology and travel, among other things. At a brief press conference, Minister Greenidge noted the agreement will fast track work between the two countries in the area of e-governance. He noted a team from Estonia has been working with the Ministry of Public Telecommunications to develop an e-governance plan. The agreement will also address easy travel between the two countries among others things. 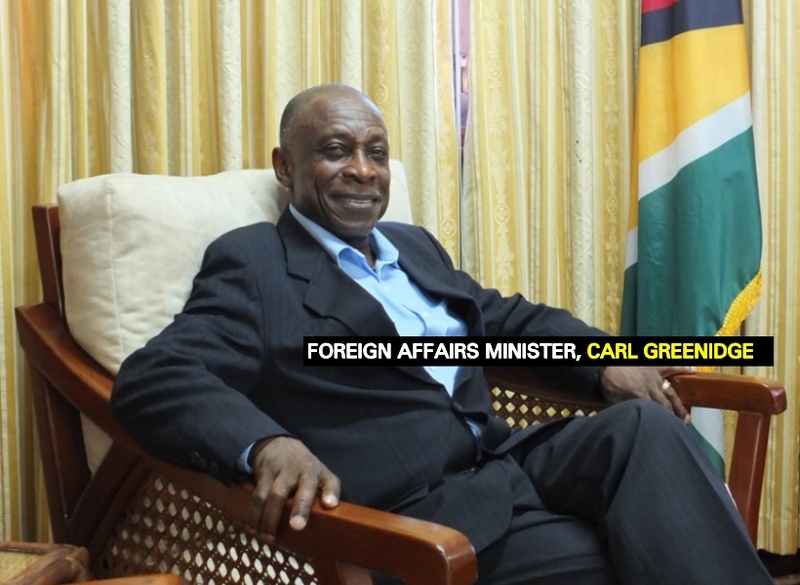 During his attendance at the UNGA, Minister Greenidge met with a number of heads of states and government officials. Bilateral was held with Jamaica, Seychelles and Cote d’Ivoire, Peru, Nordic countries among others. Guyana also signed a Memorandum of Understanding with Indonesia, which will see visa-free travel for diplomats and other senior government officials traveling between the two countries. Minister Greenidge explained these meetings are important since they establish a mechanism to have a standing framework for cooperation with bilateral partners. Guyana was also represented at multinational agencies. The Foreign Affairs Minister attended the Community of Latin American and Caribbean States (CELAC) meeting to address the crisis in Venezuela, decision making in the body. He also attended meetings with the Commonwealth Secretariat which is examining new arrangements for its governance among other things. Minister Greenidge was also at the CARICOM Foreign Ministers Meeting which examined the challenges to the region and how it can move forward. The group also met with Canada to discuss deepening relations, visa requirements among other issues.